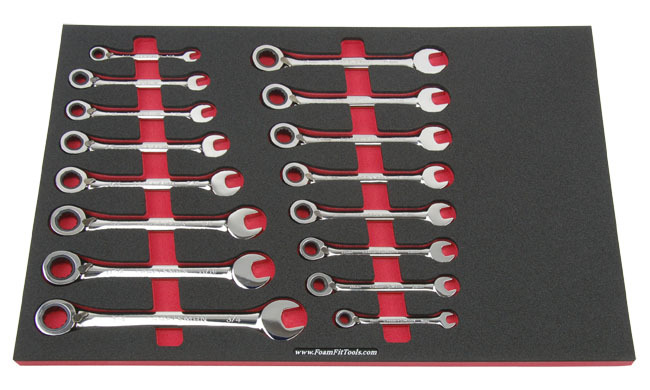 Fits (8) inch reversible ratcheting wrenches and (8) metric reversible ratcheting wrenches. Caution: Fits metric sizes 8 and 10 through 16. 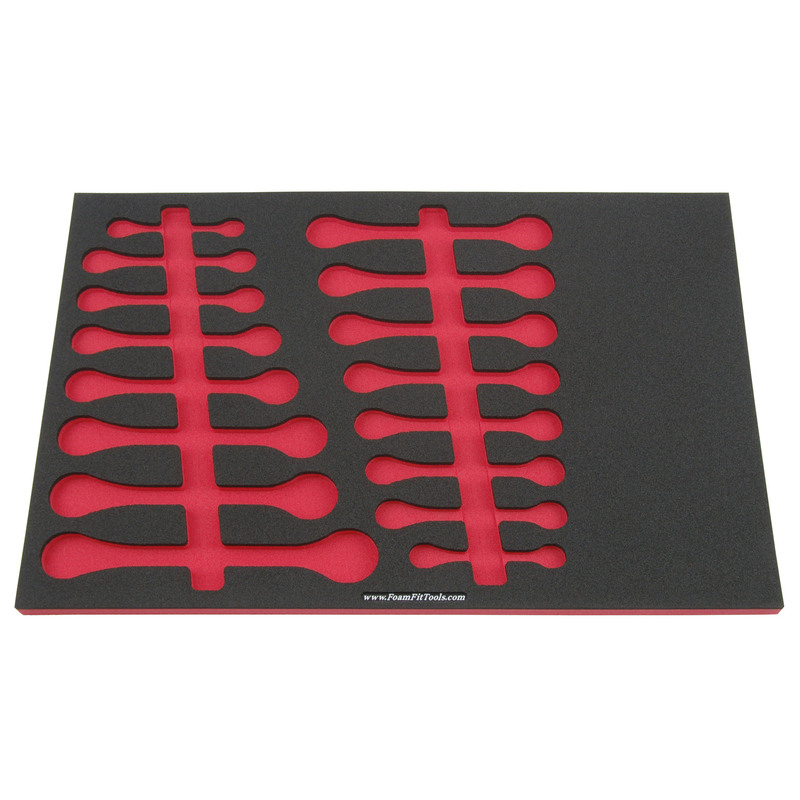 Many Craftsman sets skip the 11 and 16 mm sizes in this organizer. 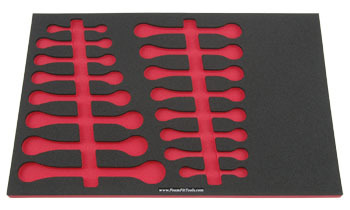 This organizer only fits full-polish, non-USA wrenches with reversing levers.